“The Woman He Married” was difficult for me to read. I spent most of my time alternating between feeling irritated and sad. So does that mean I didn’t like the book? No, not at all. It made me feel something, and for me that is ALWAYS a good thing. This book is not, at least in my humble opinion, a romance. So if you’re looking for that, I would look elsewhere. With that said I still feel that this is a book about love. Love. Marriage. Respect (or lack of it.) Betrayal. Loss of Self. Compromise. Forgiveness. There were times when I really struggled with Josie’s actions and behavior. I wanted to grab her and shake some sense into her. When she finally emerged from her own self-imposed personality prison cell, I cheered for her liberation! I never warmed up to John. Although I didn’t think he was a bad man, I found him to be selfish and clueless. Incredibly so. As I got deeper into the novel and discovered the origin of Josie and John’s relationship before they married (I am trying my very best not to give spoilers, but I am referring to Josie specifically and not what John had done) I became very disappointed in her. If what goes around really does come back around, then maybe what happened to her was a fair dose of karma. That might sound harsh, but it’s how I feel. Those feelings of apathy got worse towards Josie when she began to drag an innocent person that she already hurt deeply into her emotional mess. I found that action to be selfish and cruel. Even with my whirl of negative emotions regarding John and Josie’s story, the book really resonated with me. Can a woman have it all? Can she be a wife and mother and still keep her own separate identity? When your spouse betrays you in the worst way, should you just pack up and leave? Or are you obligated to forgive and work it out because you have children together? It’s heavy stuff, and I am not sure there are black or white answers to those questions. 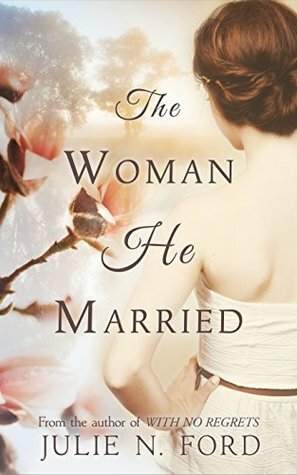 “The Woman He Married” is beautifully written, realistic, and honest. If you are interested in an emotional and gripping story about marriage and relationships I would recommend reading this book. Sign into Goodreads to see if any of your friends have read The Woman He Married.